As a not-for-profit organisation, we have qualified for free access to Google's G Suite services. This means that we have been able to create a free account for every Society and Area. 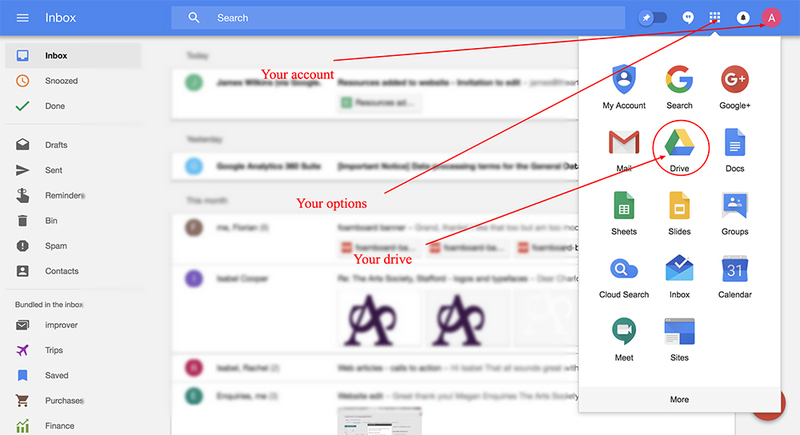 This consists of an email account and 30gb of storage space on Google's cloud server in your own Google Drive, plus lots of useful tools and applications provided by Google such as Google Docs (equivalent to Microsoft Word) and Google Sheets (equivalent to Microsoft Excel). So every Society and Area now has their own @theartssociety.org account, eg: The Arts Society Henley's account would be henley@theartssociety.org. You can use these email accounts to communicate with your members. You may wish to assign one person to manage the account or you could share access with your committee so that all your communications are in one place and can easily be handed on to a successor. 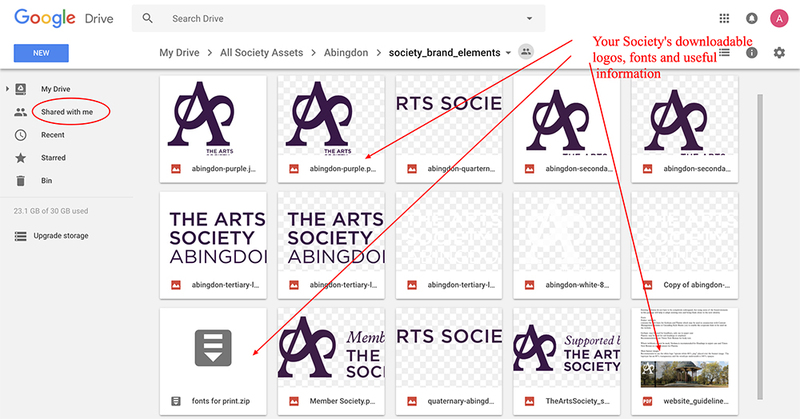 We have created a shared folder in your drive where we will put all your personalised logos, branding guidleines, downloadable fonts and other useful information. You can access these files at anytime in you drive and download them or share them with your designers or committee members.